Last month I passed another milestone in my obsessive birding career: I spotted my 700th species! This is by no means a huge number in the grand scheme of things, as there are an estimated 10,150 bird species on Earth, but the average birder (who does not travel extensively) may only see around 350-450 species; the average non-birder may only be aware of seeing a fraction of that number. To celebrate this achievement, I wanted to throw a big party. The majority of my friends here in Korea are non-birders, but accept my quirky hobby even if they don’t entirely understand it. The idea was two-fold: 1) do something that would remind all of us of our homes, and 2) maybe get one or two of them hooked with a well chosen “gateway bird” (patent pending). The site of the aptly named “700 Party” was easy enough to decide. We booked The Damyang House, a small house near the Gwangjuho Lake Eco-Park in Damyang-gun, owned and operated by expat Sean Walker and his wife Jojo. Enough great things can’t be said about The Damyang House – it’s a little bit of home in rural Korea. The house has a yard (unheard of in Korea), with a hammock, fire pit (! ), wood-burning stove inside, and a top-notch entertainment system. Sean and Jojo are a dream to work with, as their flexibility and attention to detail go above and beyond what you’d expect for a B&B. Whether you’re thinking of visiting Damyang and want something more than a “love motel,” or you want that perfect venue for your upcoming event, I highly recommend checking out The Damyang House on AirBNB. 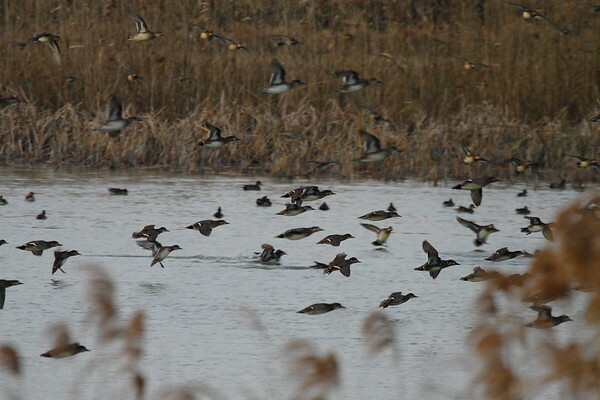 The party started with some birding around Chunghyo-dong and the Gwangjuho Lake Eco-Park. The place was pretty crowded in the afternoon, but we still had a good time, saw some good birds, and also attracted a small crowd of Koreans to see what the group of foreigners were so fascinated by in the trees. Our craning necks and binoculars started to attract attention from the locals. 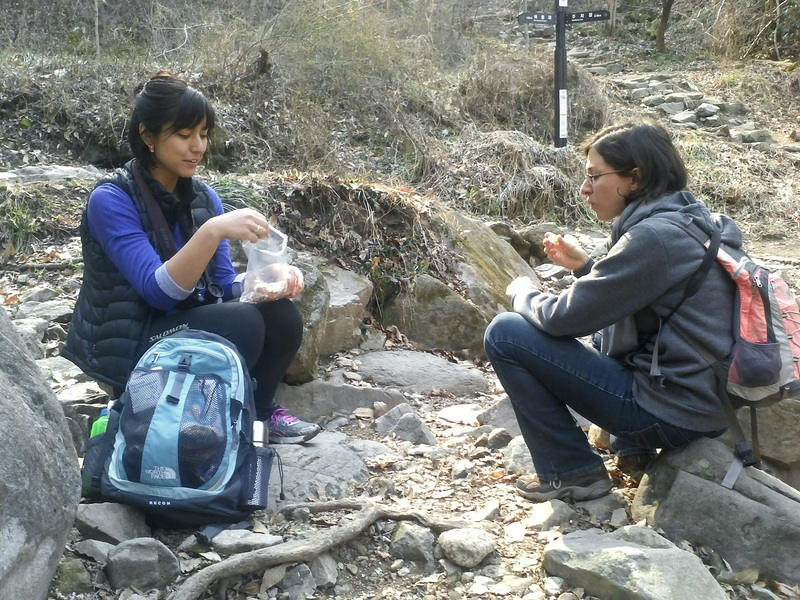 Here we are observing a pygmy woodpecker, and sharing the moment with some surprisingly excited Koreans, who probably never noticed these small birds before. As daylight waned, we returned to The Damyang House and started up the barbeque. I can’t tell you how nice it was to cook on an actual Weber with real charcoal and everything! Once night fell, we transferred the coals to the fire pit and had ourselves a campfire…marshmallows and all! Thanks to our friends for coming out to “the middle of nowhere” to celebrate this geek-tastic occasion, and especially to The Damyang House for providing the perfect venue. The end of summer in Korea is a spectacular time of year. Korean summer consists of inescapable humidity and crippling heat. Everyday. For nearly four months. Once summer ends, though, things take on a whole new appearance. It rarely rains throughout September, with every day being a perfectly clear sky and comfortably warm temperatures. October is much of the same, though the leaves start to change color and fall away, and the temperature dips ever so slowly at night. And as hard as you try to ignore it, the sun creeps behind the horizon a little earlier each day. 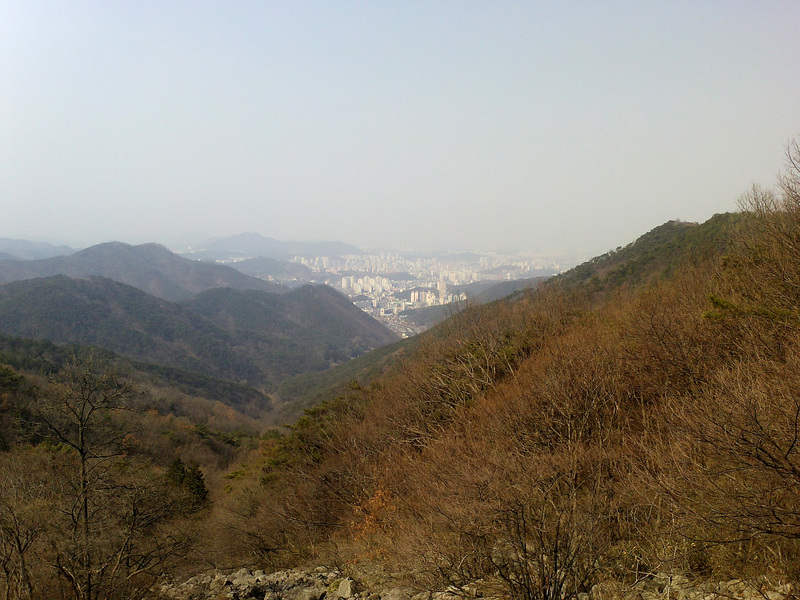 So it was on a perfect October morning that Melanie and I set out to Geumseongsanseong (금성산성), an ancient fortress ruin in the mountains around Damyang-gun, just north of Gwangju. 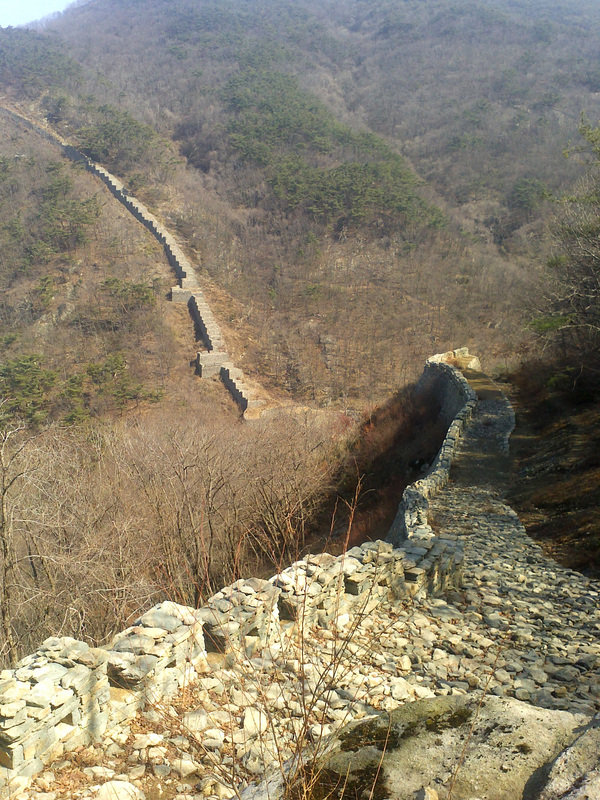 We’ve hiked this steep climb many times, but had never actually gone all the way around the fortress wall. This wall encloses a small valley, and protects an old hermitage at its center. Like the Great Wall in China, the battlements follow the lay of the land, resulting in a lot of sharp ups and downs along the path. In addition to the amazing scenery (especially on a clear autumn day), I’ve found many interesting bird species in this area that I rarely encounter elsewhere. 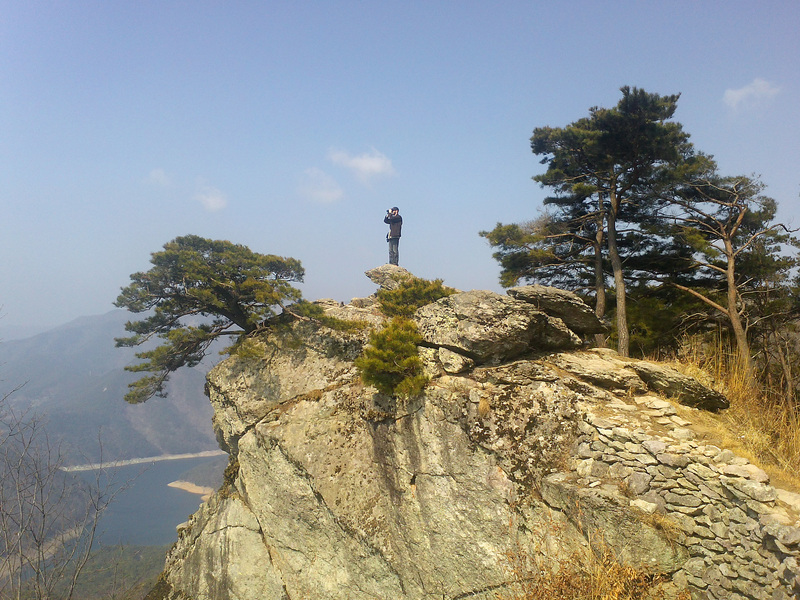 See an earlier post about Geumseongsanseong, when I observed alpine accentors and a golden eagle, two species that I have yet to see anywhere else in Korea to date. I put all of that information together, instantly ruling out 99% of my Field Guide to the Birds of Korea. 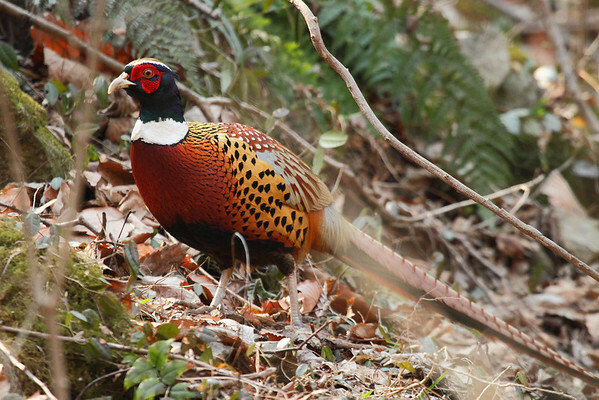 Only two candidates remain, and I can rule out common pheasant easily because of the short tail observation. Which leaves only one option left: hazel grouse! 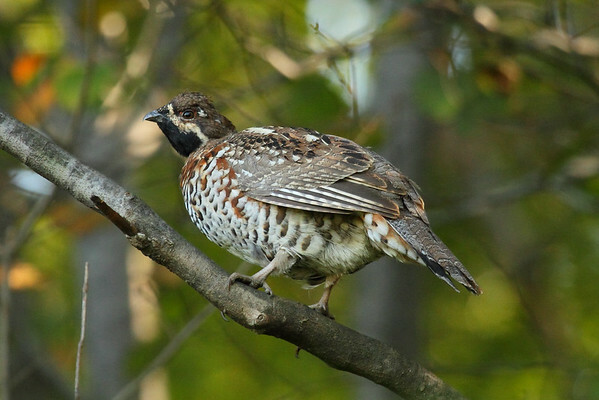 Hazel grouse are small gallinaceous birds, part of the order that includes turkeys, chickens, and other game birds. They closely resemble the ruffed grouse of North America. However, they are scarcely seen, due mainly to their naturally shy nature and cryptic camouflage. I have only encountered hazel grouse before on two separate occasions, both of which were over a year earlier. Melanie, on the other hand, had never seen one before. For all the fuss it made flushing from the side of the trail, we had to peer through the branches to actually see the grouse. Finally, I located it hiding behind a low-hanging branch. The grouse looked down at us, and remained relatively motionless. 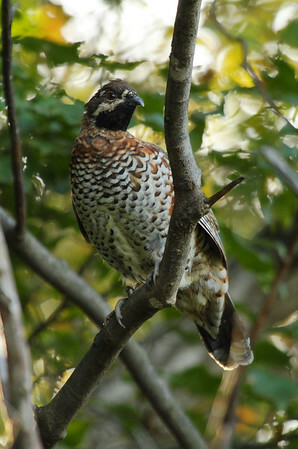 Then it began to vocalize in a high-pitched whistle; the sound was very uncharacteristic of most gallinaceous birds I’ve encountered before, and had I only heard it calling and not actually have seen it, I would never have guessed a grouse was making this call. A pair of hikers passed us by soon after, and the grouse decided to fly off to another tree. Generally grouse are not strong flyers, and make short direct evasion flights when flushed or startled. This time the grouse only flew about 10 meters away, and landed in an exposed tree where it was in plain sight! 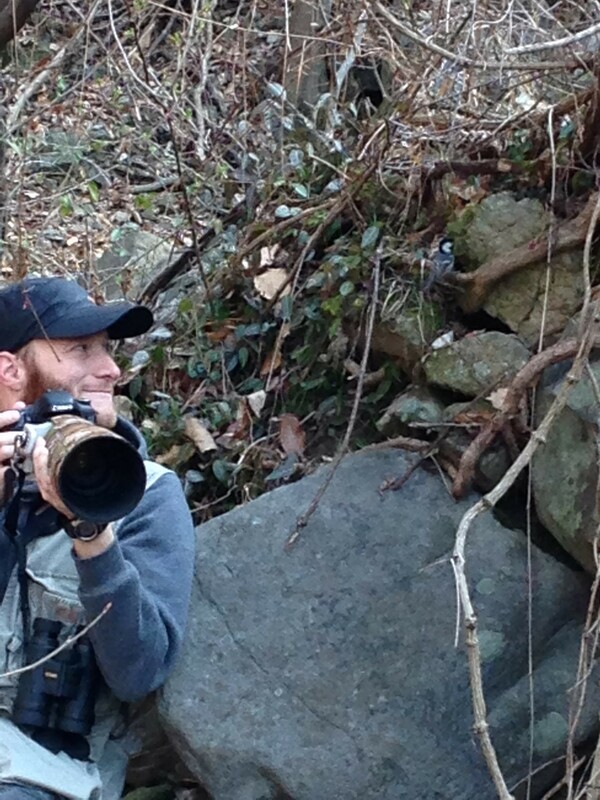 I cautiously approached, and was treated to a one-on-one photo session with a truly accommodating bird. It wasn’t until a nosy Eurasian jay appeared that the grouse began to move further into the surrounding forest. And with that, we continued on down the mountainside, enjoying a beautiful sunset after an incredible hike. Although the day was not particularly birdy, encountering a hazel grouse and having such good views made for a very memorable experience. 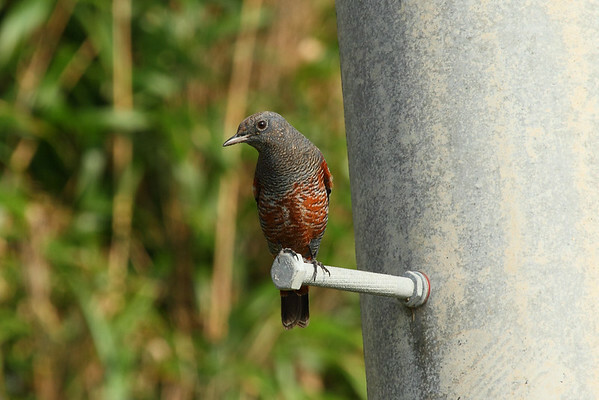 I’ve been fortunate enough to have done some birding on islands, namely Amherst Island in Canada, on Kinmen Island and mainland Taiwan, and on some of the small islands off the coast of Korea, namely Eocheong-do (오청도) and Heuksan-do (흑산도). Large islands can often offer the adventurous birder endemic species, found nowhere else on Earth. Smaller island, on the other hand, are havens for birds during migration, and one never knows what will show up. 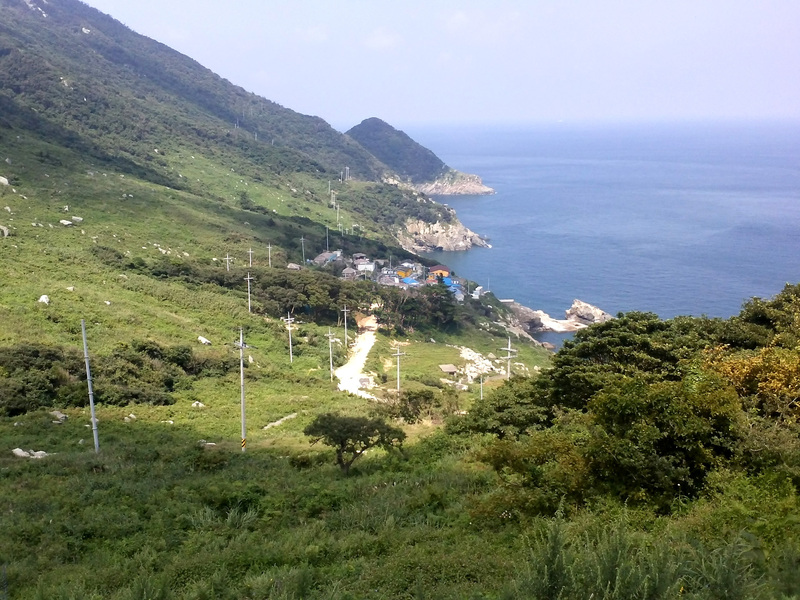 Unlike the other islands I’ve birded in Korea, Gageo-do (가거도) is about as isolated as a Korean island can get. 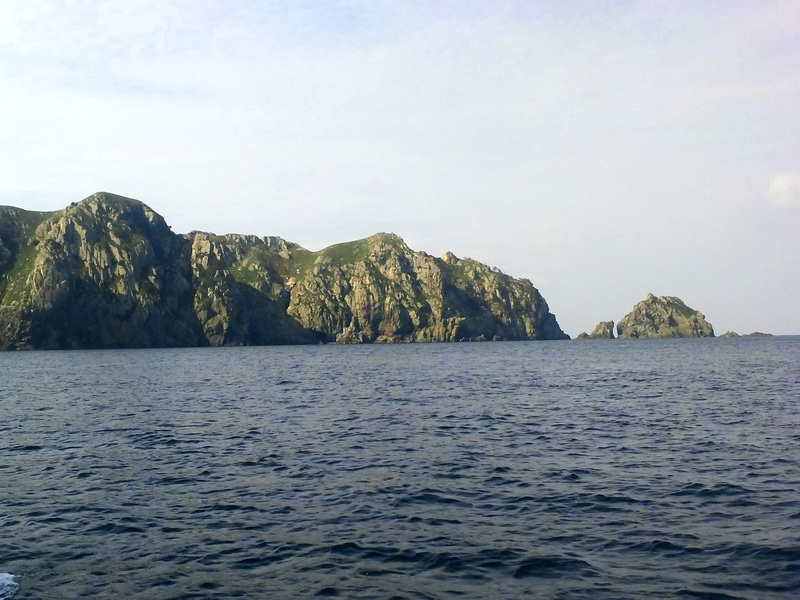 It’s out in the middle of the Yellow Sea, about 140 kilometers from the nearest mainland port, and has a very small population compared to its size. The island itself is quite rugged, characterized by high, forest-covered mountains in the interior, surrounded by rocky cliffs around the coast. It’s not an easy terrain to navigate on foot, and the trails that do exist are not maintained and barely deserve the name. 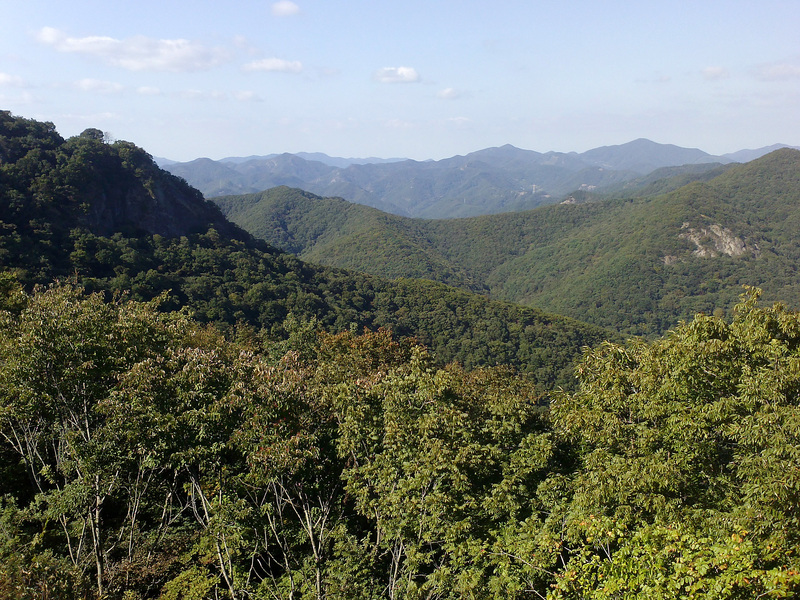 As compared to Eocheong-do, with its well-kept hiking trails and convenient paved roads, Gageo-do is challenging…but it makes it that much more rewarding. 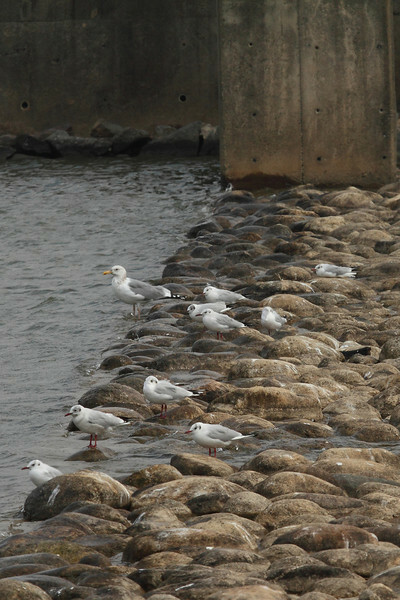 Island birding in Korea means pelagic birding, as the islands are only accessible by ferry. Depending on the destination, this rare opportunity to observed the ocean’s unsung avian wonders can be thrilling or a complete miss. The ferry to Gageo-do takes between 4 and 5 hours to reach the island, making a few stops at other islands along the way. However, unlike the ferry to Eocheong-do, passengers are not permitted to go outside of the cabin throughout the trip, so all birding must be done looking through the window. When we finally arrived at the island, my first encounters were with the resident species. 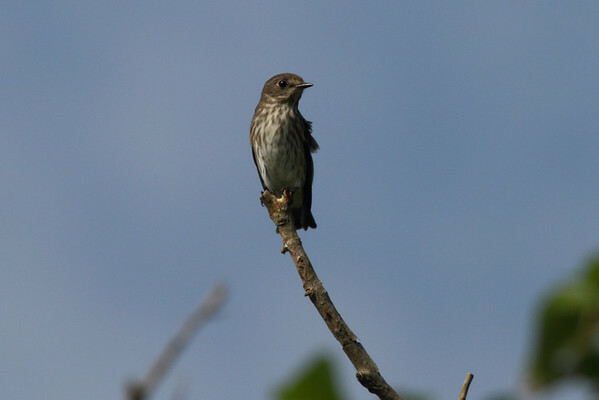 Blue rock thrushes were plentiful, and the prevalence of first-year birds indicate there was a successful breeding season on the island. The marina held dozens of grey herons and smaller numbers of great egret and little egret. The village of Gageodo-ri was patrolled by a pair of common kestrels, which would put in an appearance everyday of my trip. Elsewhere around the village were numerous light-vented bulbuls; these rare breeders actually outnumbered the brown-eared bulbuls which are far more common on the mainland. 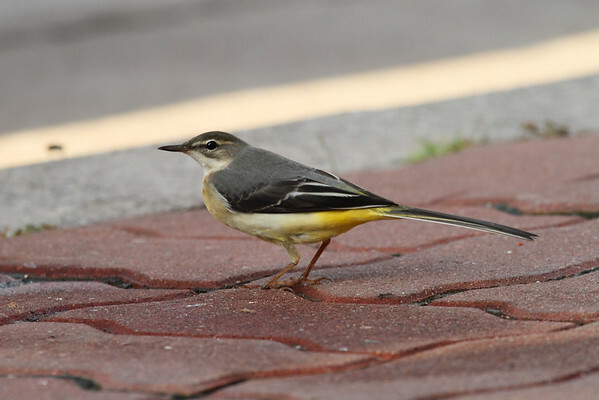 And flitting about the harbors were numerous wagtails, including grey, white, and eastern yellow wagtails. But it was the migrants that I was interested in. 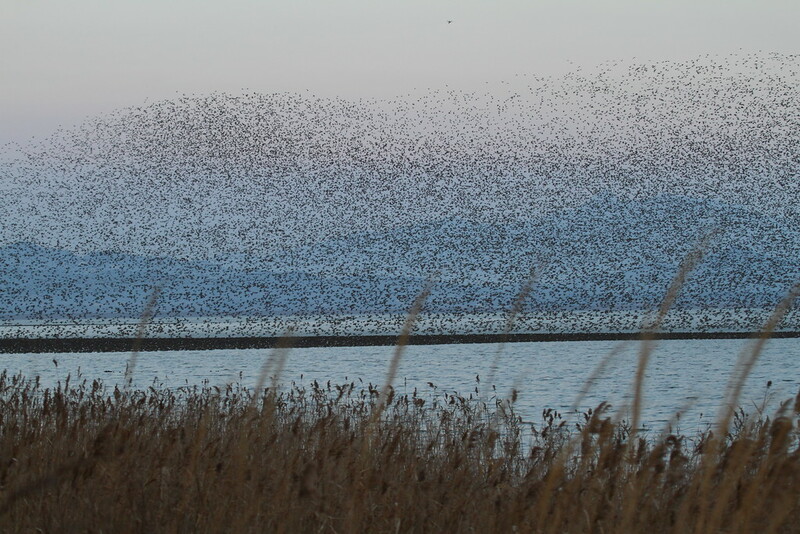 There isn’t much in the way of shorebird habitat at Gageo-do. The beaches that are there are rocky and the sand is replaced by smooth pebbles. 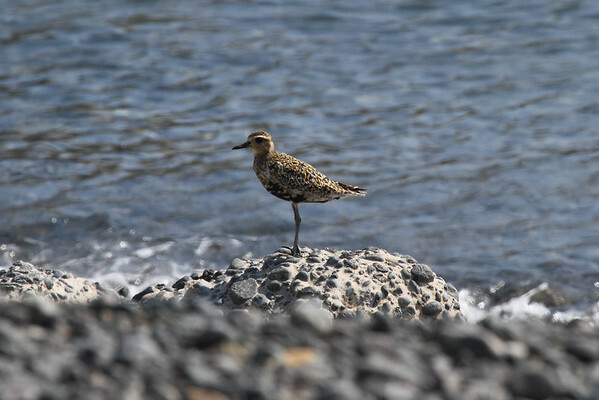 However, a few migrant shorebirds were around, including singles of Pacific golden plover, red-necked stint, long-toed stint, and several wood sandpipers that could be found on the grassy common area at the center of Gageodo-ri. 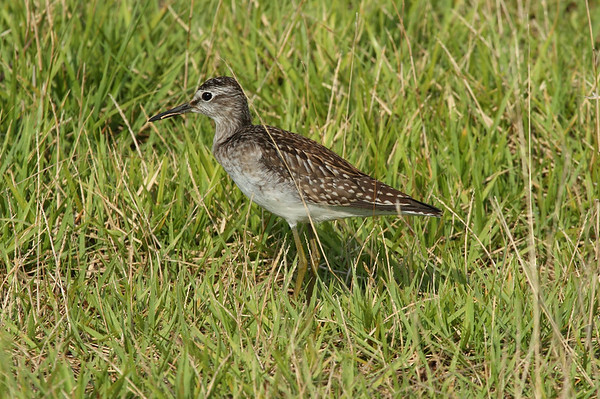 Cryptic Latham’s snipes were flushed from their hiding places in the tall sedges around Gageodo-ri and Hangri-maeul. I was hoping for some migrant warblers and flycatchers, which should be moving through in good numbers. The few trails that I had located around Gageodo-ri were too overgrown to bird effectively – I spent more time avoiding thorns and watching my footing than watching the birds around me. 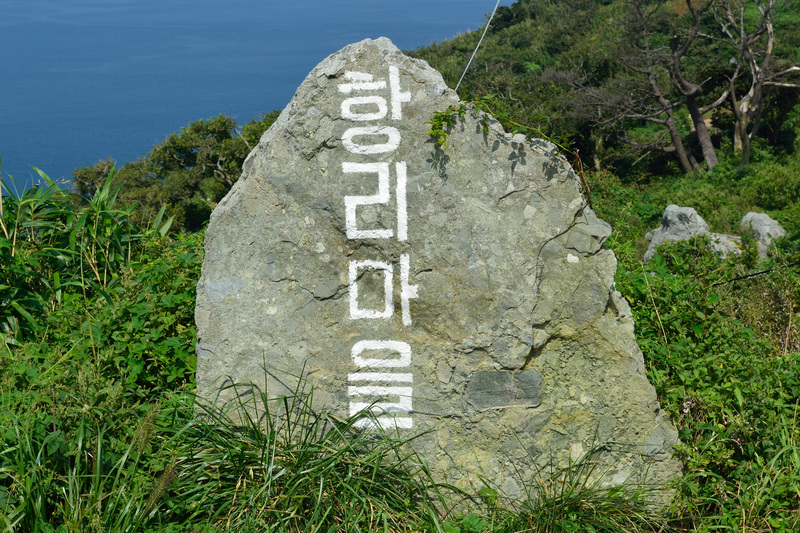 Luckily, there are two roads that traverse the island, connecting the main village of Gageodo-ri to the small hamlets of Hangri-maeul and Sam-gu. Most of the migrant passerines could be found along these roads, where the edges of mountain forests met the rocky coastline. 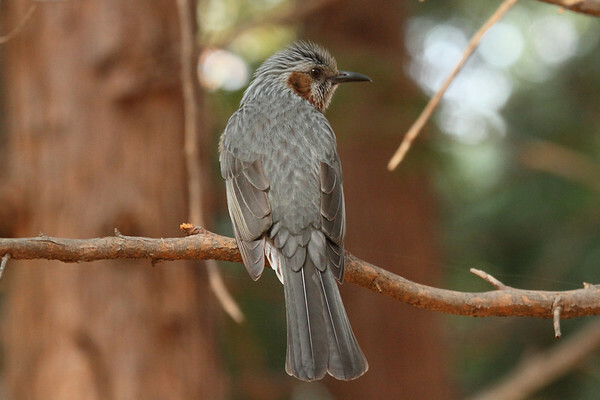 The most common bird along these roads, besides the blue rock-thrushes, were grey-streaked flycatchers. I am not sure whether this species breeds on the island; I usually found them in groups of three or more, flitting along the roads and into the air as they hawked insects and dragonflies. 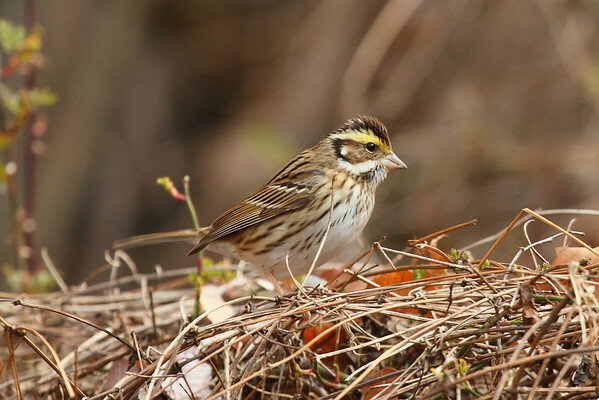 Migrant warblers could also be found along the roadsides. I didn’t find many warblers in large numbers, but there was definitely a good variety of species. Dusky warblers were probably the most numerous; although I rarely actually saw them, their distinctive chip note could be heard frequently along the road. 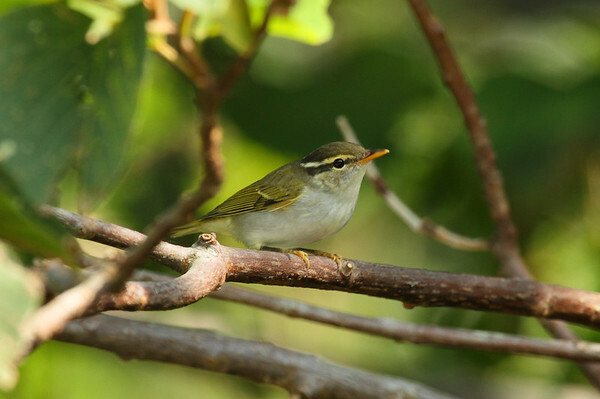 Eastern crowned leaf warblers and yellow-browed warblers were present in smaller numbers, and I had a brief glimpse of a brightly colored Pallas’s leaf warbler. 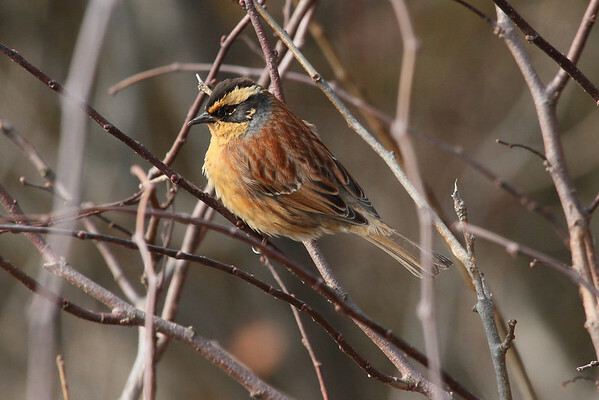 However, the best Old World warbler (and the best bird of the entire trip!) 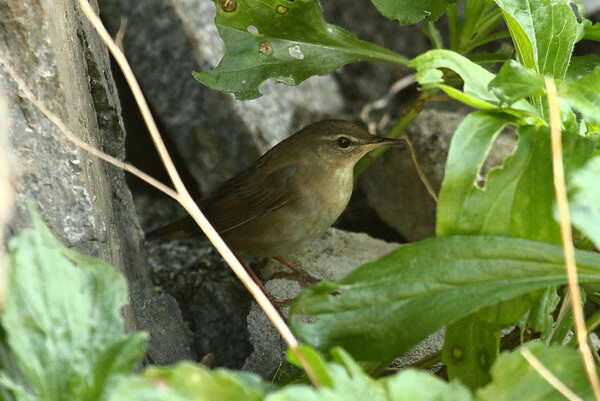 was Middendorff’s grasshopper warbler, a drab brownish warbler that I located twice near the village of Gageodo-ri. 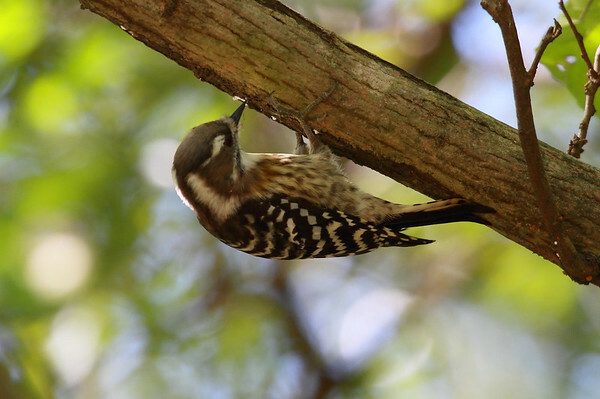 Although it isn’t much to look at, the Middendorff’s was officially my 700th species! This is Life Bird #700! 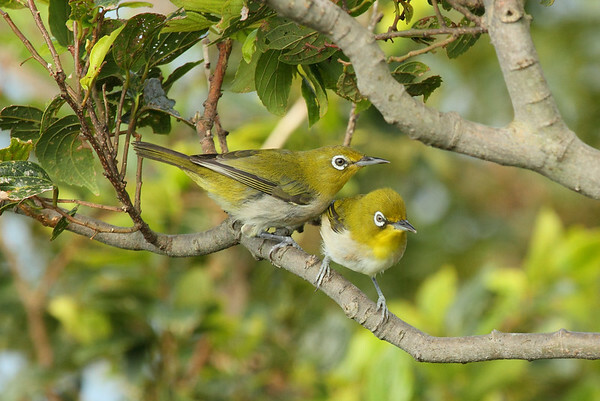 The most numerous bird of all, however, was the Japanese white-eye. These small greenish birds were literally dripping off the leaves. 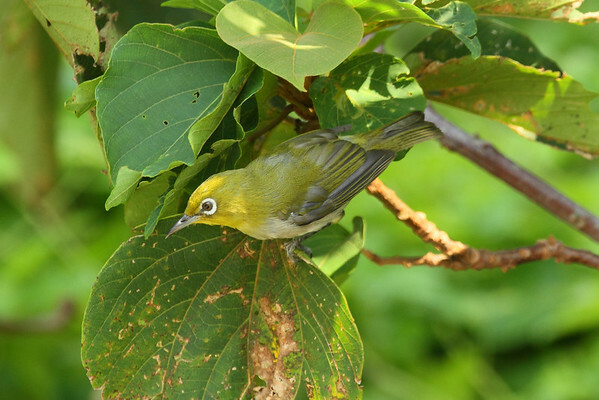 I would often have to sift through large flocks of white-eyes just to spot that one non-white-eye. 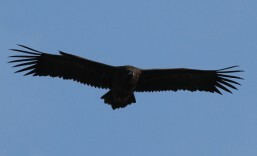 The island also hosted a few predators as well. In addition to the pair of kestrels that patrolled the skies above the main village, at least two peregrine falcons were also making use of the thermals over the mountainous interior. Shrikes were also fairly common on the island, with three species present. Brown shrikes are often found on the islands offshore around Korea; I found one on Eocheong-do during the spring migration. 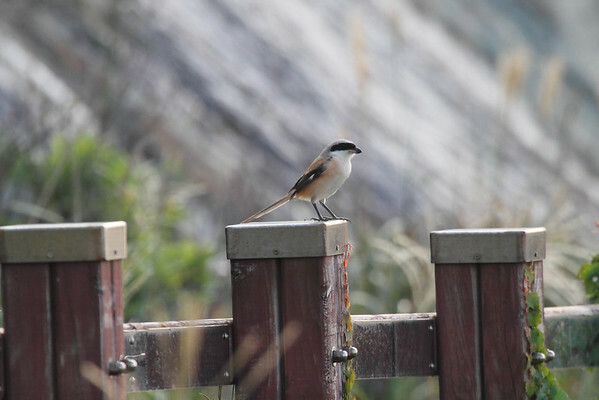 On Gageo-do there were two brown shrikes, each on a different side of the island. A single juvenile bull-headed shrike indicated that there was likely a breeding pair of adults somewhere on the island, even though they remained unseen during my stay. The big surprise was not one but two long-tailed shrikes, again on either side of the island. 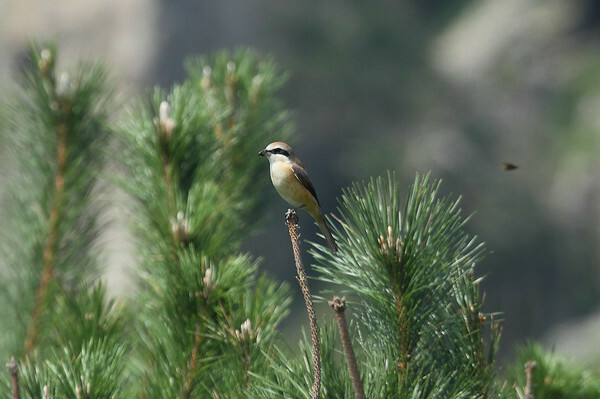 These shrikes are quite common in China and Taiwan, but almost entirely absent from Korea. 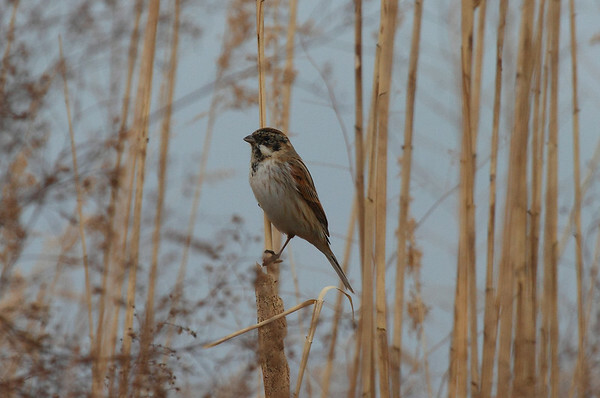 Occasional records do crop up on some of the islands, but overall it is quite a rare bird for the country. 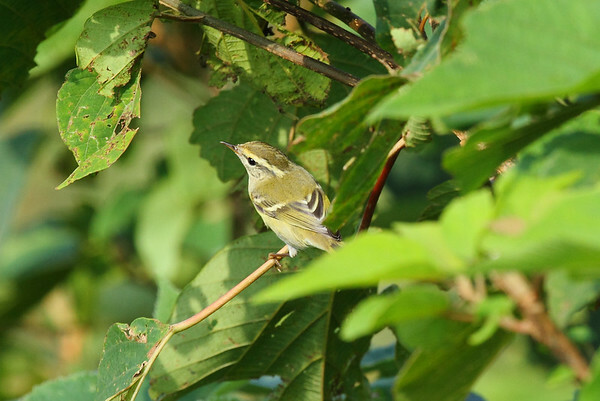 The four days on Gageo-do were a great way to kick off the fall migration. There was a good variety of resident and migrant species, and I was treated to some rarer species that I can’t find on the mainland. In total I saw just over 50 species, and picked up 4 life birds, including #700! 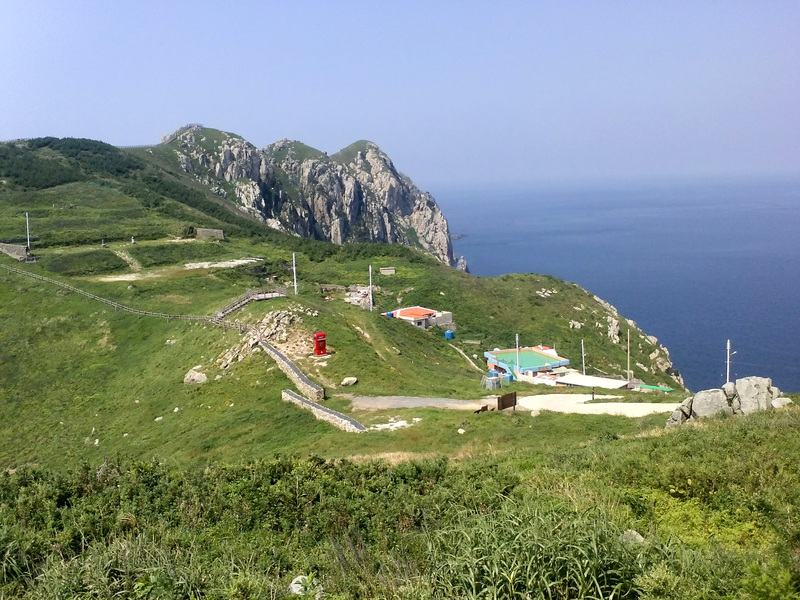 Having spent a long weekend at Eocheong-do this past spring, I decided to check out another of Korea’s numerous islands for the long weekend over the Chuseok holiday. 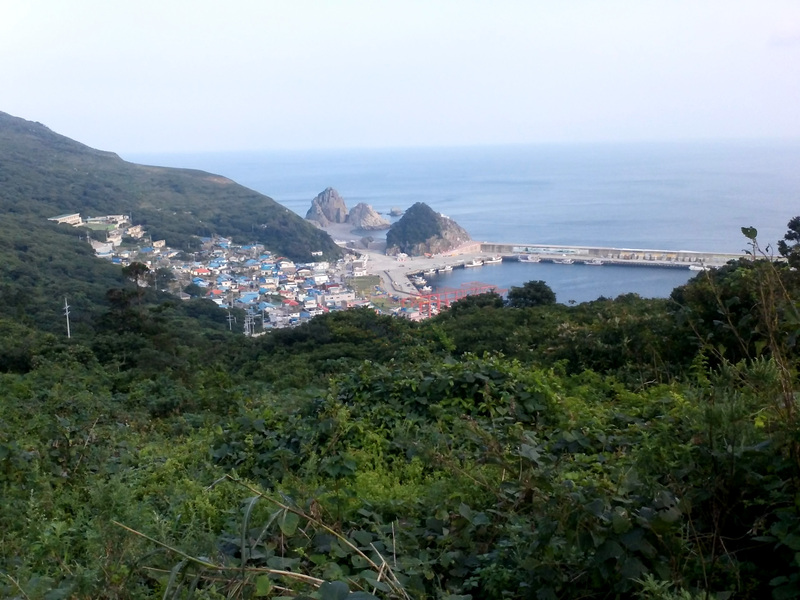 The destination was Gageo-do (가거도), the most remote island in South Korea. Situated some 140 kilometers from the port city of Mokpo-si (목포시), Gageo-do is the most westerly point in the entire country. Continue reading for some logistics. 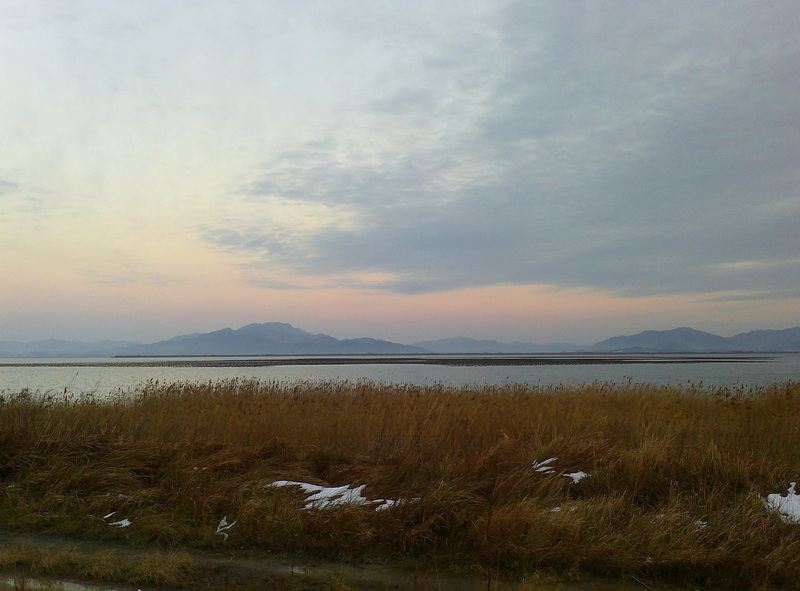 Gageo-do is as far away from mainland Korea as you can get, and still be in the country. There is only one ferry that services the island, and only one departure per day. The ferry leaves from the Mokpo Port Coastal Terminal daily at 8:10AM; tickets will cost approximately 55,000₩; slightly less for the return voyage. 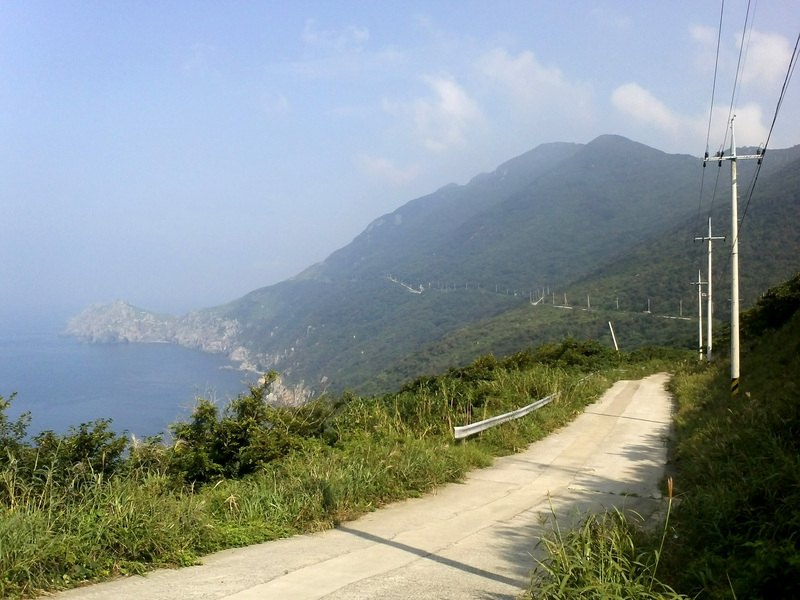 The trip will last around 4½ to 5 hours, depending on weather conditions, and the ferry will stop at a number of islands on the way to Gageo-do. Tickets can be ordered ahead of time or purchased on the day of your trip; be sure to check the ferry schedule before heading out to Mokpo. As always, you will need a photo ID to purchase your tickets and board the ferry – for non-Koreans, a passport or ARC card will suffice. Gageo-do is a very small island community. Although there are officially three “villages” on the island, the total population is just over 400. Gageodo-ri, the main and largest of the three villages, is where you will disembark on your arrival. Unless you’ve already made other arrangements, you best bet at finding a place to stay is here. 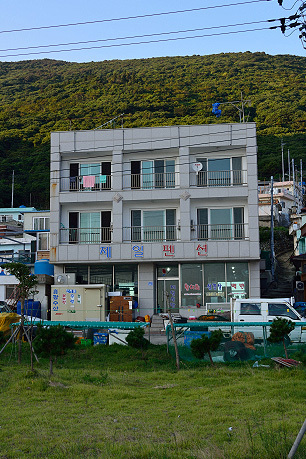 There is a selection of accommodations, including a motel, several pension (펜션), and minbak (민박). Prices will vary, but expect to pay around 40,000 – 60,000₩ per night. 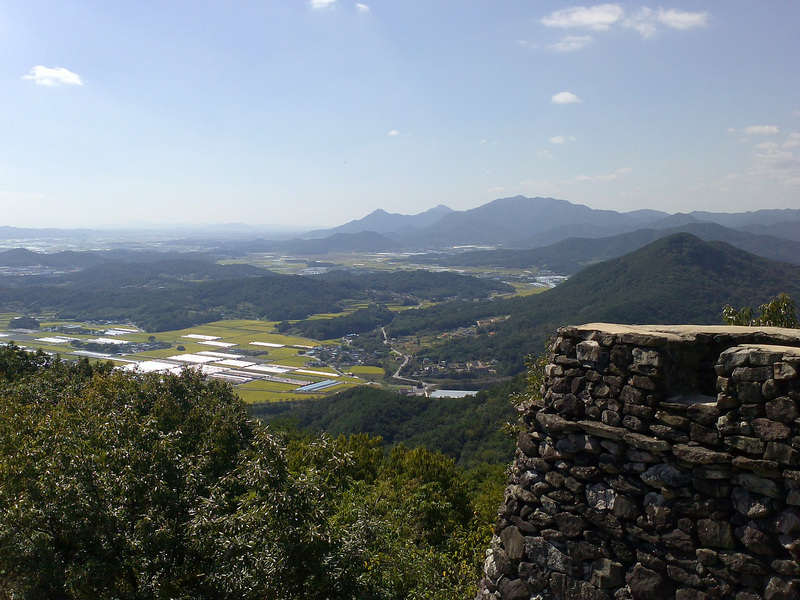 The second village is called Hangri-maeul, and lies on the southwestern end of Gageo-do. It is connected to Gageodo-ri by a paved roadway. Hangri-maeul is considerably smaller than Gageodo-ri, but there is at least one minbak where you can stay. There is also a small restaurant, but it was not open due to the Chuseok holiday. 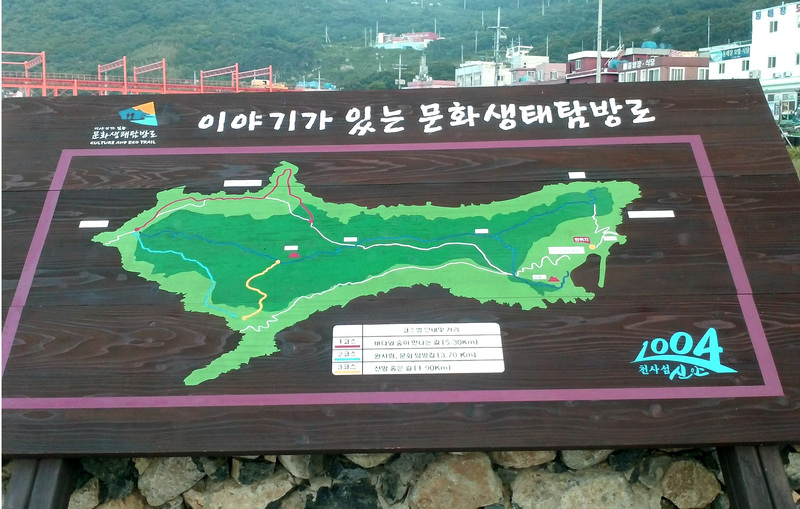 Hangri-maeul is about a 5 kilometer hike from Gageodo-ri; there are no taxis on the island, but you may be able to hitch a ride with a local resident – there may be a fee associated with this. The third and final village is called Sam-gu, and it is located on the opposite side of the island from Gageodo-ri, approximately 9 kilometers away. 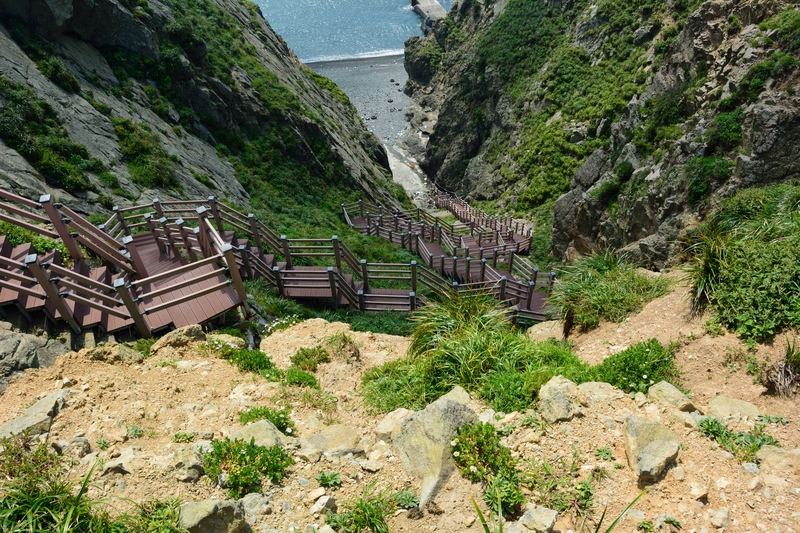 It can be accessed by a roadway leading through the interior; you could also hire a boat to take you there, or hike from Hangri-maeul along the coastline. 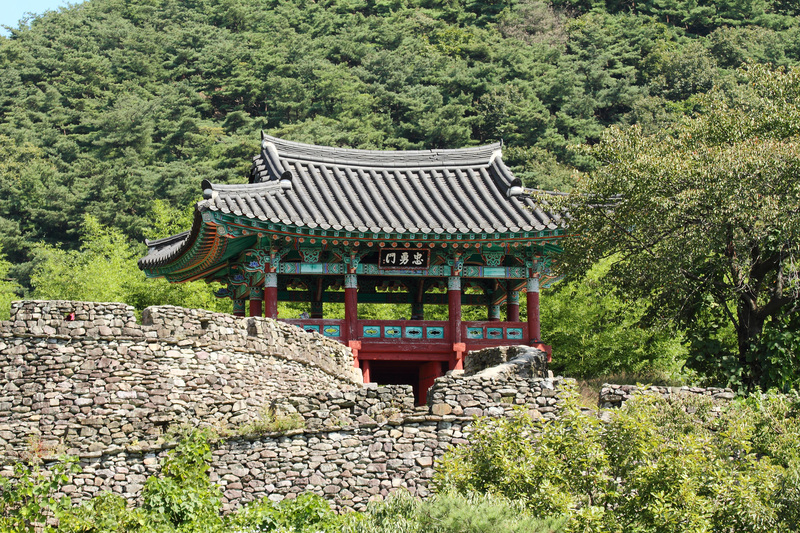 Although Sam-gu is larger than Hangri-maeul, while we explored the village we did not see a single resident, even though air conditioners were working and there was a faint smell of something cooking around some of the residences. We did not notice any accommodations or restaurants, but the ghost town like atmosphere was not particularly inviting of further exploration. 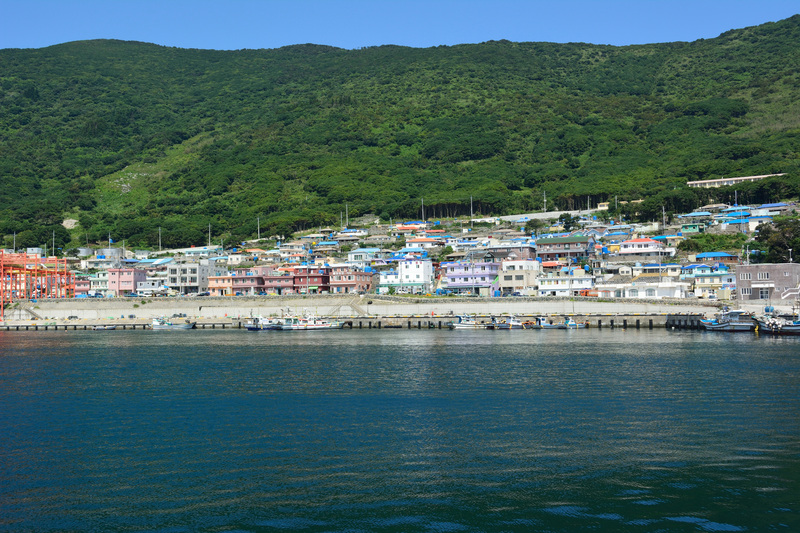 The main economy of Gageo-do, like most Korean islands, is fishing. So non-Koreans will definitely want to bring some food, especially for breakfast if rice, kimchi, and fish are not your thing. There are plenty of restaurants available in the villages, but the main course will likely be fish or seafood. Even though something appears on the menu (or on the storefront window) doesn’t necessarily mean that it is available when you order it. Many islands are a cash-only economy. While you may be able to pay with a card, or find an available ATM, it is advisable to bring plenty of cash with you. Even if you are lucky enough to find an ATM on the island, it probably won’t work, or will only have a small amount of cash available. 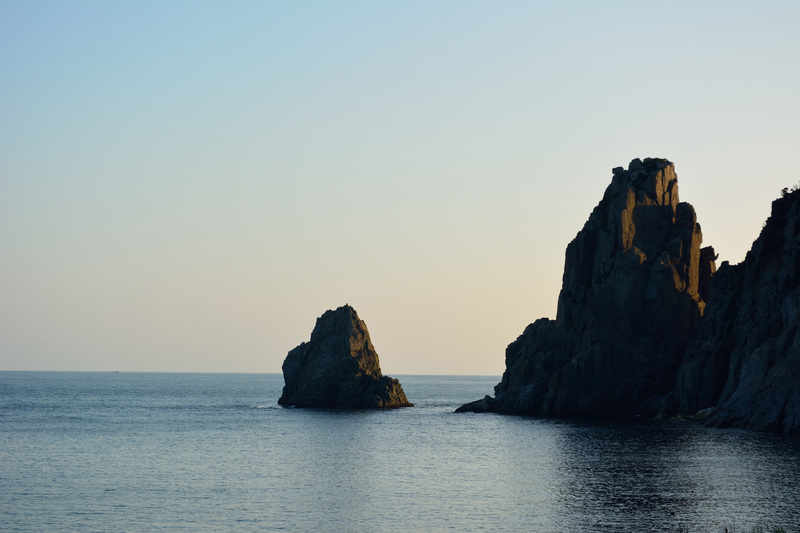 Gageo-do has a thriving fishing industry, and among Koreans the island is known as a sports fisherman’s destination. Many of the locals offer charter fishing services around the island; prices will vary depending on the owner of the vessel and your skill in haggling, but expect to pay around 100,000₩ per person. If fishing isn’t your thing, the island does have several hiking trails crisscrossing the mountainous interior, or hugging the rugged coastline. Be advised, however, that these hiking trails are not maintained and can get pretty difficult. The interior mountains are very steep, and the trails consist of moss-laden boulders and slippery stones. It is advisable to wear long pants and sturdy boats, or run the risk of getting torn up on thorny shrubbery. There are a few pebble beaches around Gageo-do. 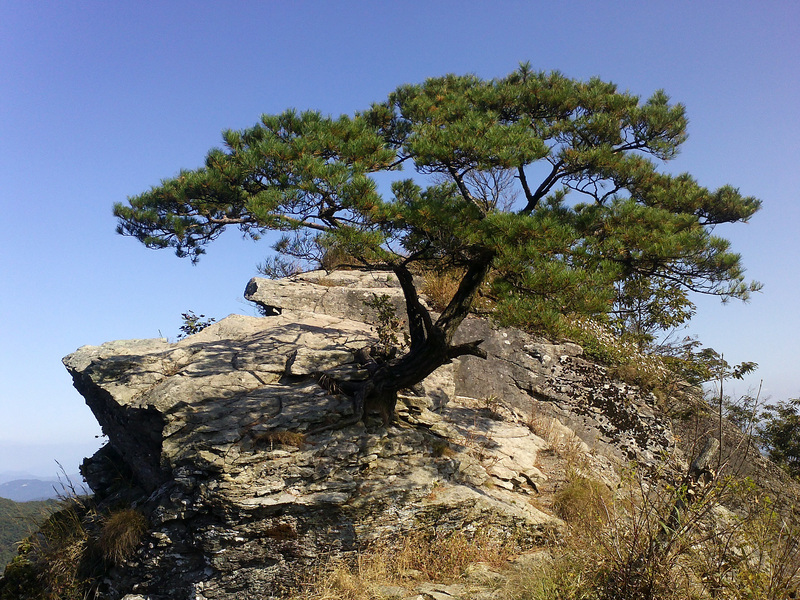 There are two large ones just to the east of Gageodo-ri; another secluded one can be found in Hangri-maeul. Swimming in the ocean is not particularly high on the list of Korean past times, so you may very well have these beaches entirely to yourself. If there are any locals or Korean tourists around, however, be prepared to be watched like a hawk as you enjoy the surf. Overall, Gageo-do is a unique location with a tight-knit community. You will feel like a minor celebrity as you walk the small, twisting alleyways of Gageodo-ri. Korean island communities are by far the friendliest that I’ve come across – just remember to be open-minded. Please check out my friend’s blog for more information on our trip to Gageo-do. I’ll discuss the bird aspect of the trip in another installment.